Birth & Battle says that becoming a mother or father is instinctive but that the skills of mothering and fathering are learnt. It says that for millenia we learnt these parenting skills by watching and copying the same gendered mothers or fathers around us in the extended family or tribe that we lived in. This simple system was broken when we adopted the nuclear family model and now the effect of this lack of gender modelling is being seen in the breakdown of parenting skills throughout the Western World. 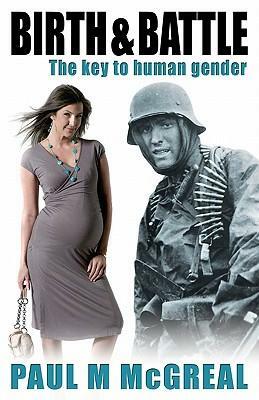 Birth & Battle is a very different book about how nature-nurture, human gender and our breeding based behaviour works. It demystifies and explains exactly why men and women have so much difficulty when it comes to love and breeding and most of all, it fits our everyday behaviour amazingly well.